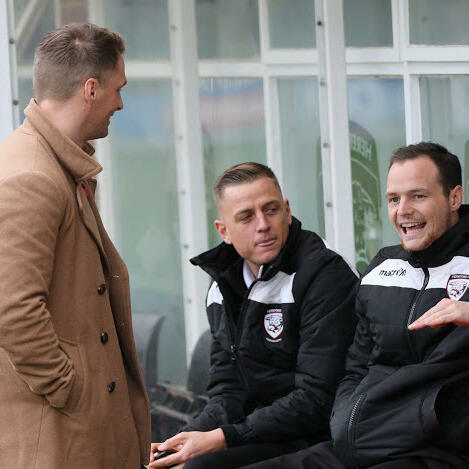 I was joined by the Hereford legend Rob Purdie after yesterday's 4-2 victory over Darlington at Edgar Street. Purdie acknowledged it had been a "proverbial game of two-halves" but thought Hereford were tremendous in the second period. He feels the side will need to pick up another five or six points to avoid the drop zone, but says the target should be to finish the season on a high - with say 12th position not unrealistic. Mills: "Today will be an experience I'll never forget"